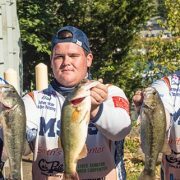 MHX is one of the top rod blank names in the business, and their High-Mod blanks epitomize performance in a fishing rod blank. MHX has been tweaking their design for their next generation high-mods for years now – and MudHole.com now has the largest MHX Gen 2 inventory. So what makes the Gen 2 so great? “With the MHX High Modulus Series in it’s 3rd year, we felt that it was time to breathe a little new life into the series. So we decided that with some new technology available since the original design – we would try to take advantage of some of this. We were able to accomplish all of these by utilizing a new (to us) factory that has in the past done nothing but High End fly rods. This made reducing the diameters easier as they were very comfortable with dealing with the smaller diameter tooling required. We also converted to 100% Toray fiber from Japan and incorporated a new hardened resin system that will hold this small package together with greater stresses exerted on it. We have been testing the prototypes since last fall and they have truly exceeded our expectations. On top of total re-design of the original models, we have designed 5 new models including a highly requested flippin’ stick in the 7’8” 5 power range along with two new X-Fast Mag-Bass models and two new much needed Spin Jig models. 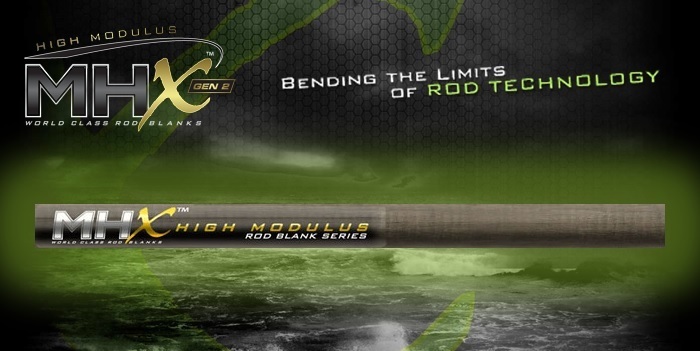 High-Mod rods are the lightest types of fishing rods on the market. Does that really make a difference? Well, yes. If you are throwing 1/2 oz. spinnerbaits for hours on end, the lighter weight will make a huge difference in reducing the fatigue you feel in your arm and shoulders. If fish always smacked your hook like it owed them money, then sensitivity to feel the bite would not matter. However, as we all know, fish often give just the slightest signal they are on, and in order to at least have the hook set opportunity, you need to feel them. 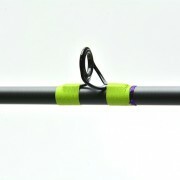 There simply is not a better type of rod out there to detect fish bites than High-Mod rods. High-Mod rods are so sensitive that with a little practice, you can work a Carolina rig, or bump a jig around, and actually tell if the bottom is sandy, has weeds, stumps, and create a mental image of the underwater terrain. Experienced fisherman can do this to some degree already, but is significantly improved with High-Mod rods. As you wind up for the cast, more energy is going to be transferred, resulting in a much longer cast than lower modulus rods. 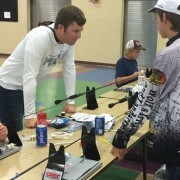 If you really want to increase casting distance and accuracy, try using micro-guides. MHX blanks are not available as factory production rods, they are only available to custom rod builders. 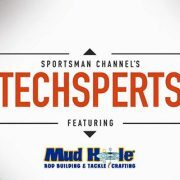 This exclusive access provides the custom rod builder with a lineup of blanks which are above and beyond what can be offered by mass production manufacturers. 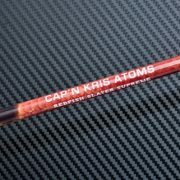 When using an MHX blank, custom rod builders can offer a truly custom rod without competition from a rod factory. 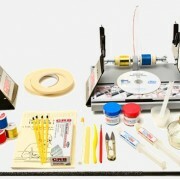 Each MHX blank is designed and produced for specific applications and uses. The design information is listed along with each blank to provide the custom rod builder with usage and application suggestions. Once it has passed the quality control stage, each MHX blank is assigned an individual serial number. This assures that every MHX rod you build, fish, buy or sell can be tracked throughout its life cycle from end to end with no concern about warranty issues. MHX again sets the standard with their exclusive limited lifetime transferable warranty. Each rod blank can be registered online with its individual serial number by either the custom rod builder or the end user of the rod. When registered, the blanks unique serial number identifies that rod blank to registrant. If the registrant sells or gives the rod blank or finished rod to another person, the warranty can be transferred to the new owner – an industry first! Get Your MHX Gen 2 High-Mod Today!